Tim and I spent one night in Latacunga, where we met Lea, a soft-spoken German staying at our hostel. We became fast friends after she offered us each portions of her home-cooked dinner. 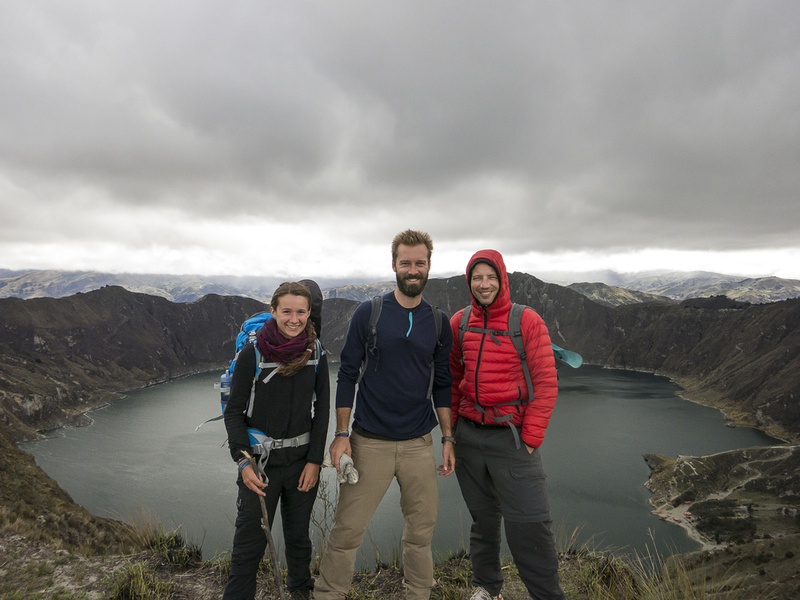 We all had hazy plans for the “Quilotoa Loop,” and agreed to join forces. 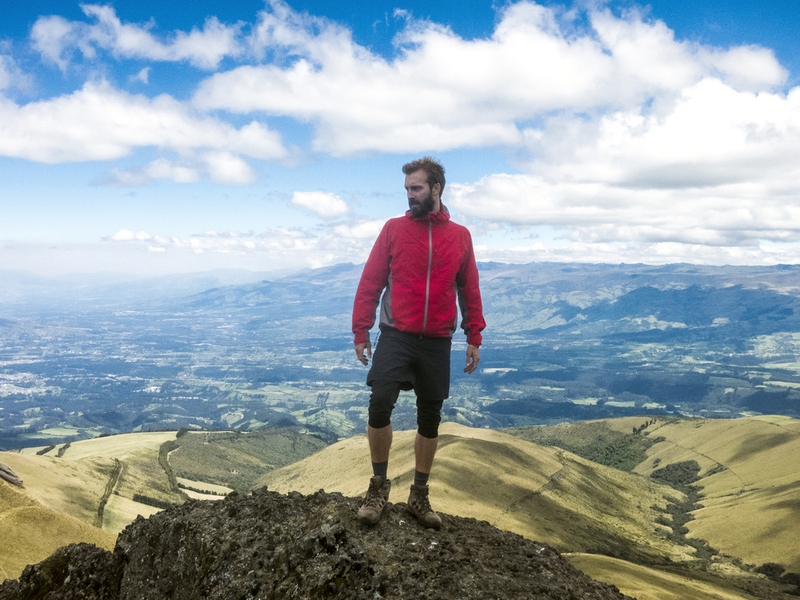 Latacunga is a small city that got even smaller when Cotopaxi started erupting in August. Though scientists have said the likelihood of a major eruption is small, “the world’s most dangerous volcano” was still smoking during our visit, which made for a nervous night’s sleep. I awoke in a panic when a jet flew low over the city in the middle of the night, sounding remarkably like an eruption to anyone as disoriented and inexperienced with volcanos as I am. 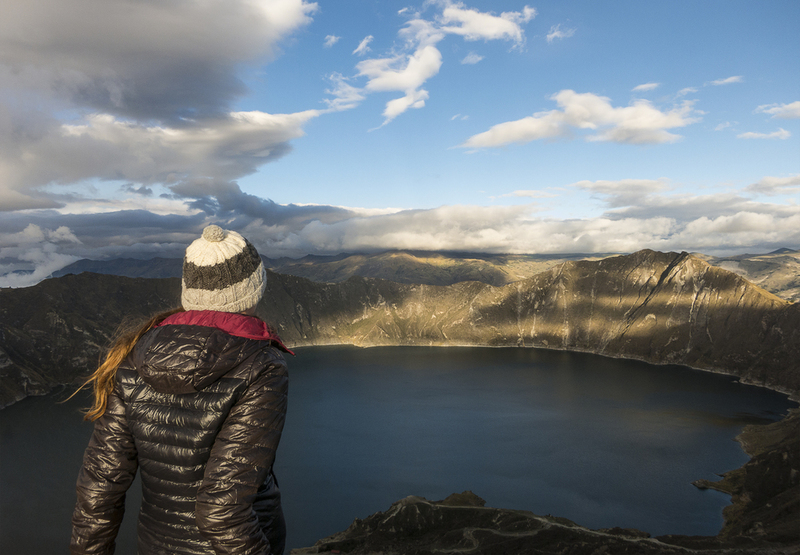 The next morning, the three of us caught a bus to Quilotoa. We spent the next three days hiking between remote towns, through canyons, along the ridges of a volcanic crater, between tranquil, riverside farms, and hopping over cattle fences. It was a wonderfully scenic and peaceful adventure. One night, while gazing at the stars from a giant “hammock,” Lea opened up. It turned out she’d been hiding a severe depression. 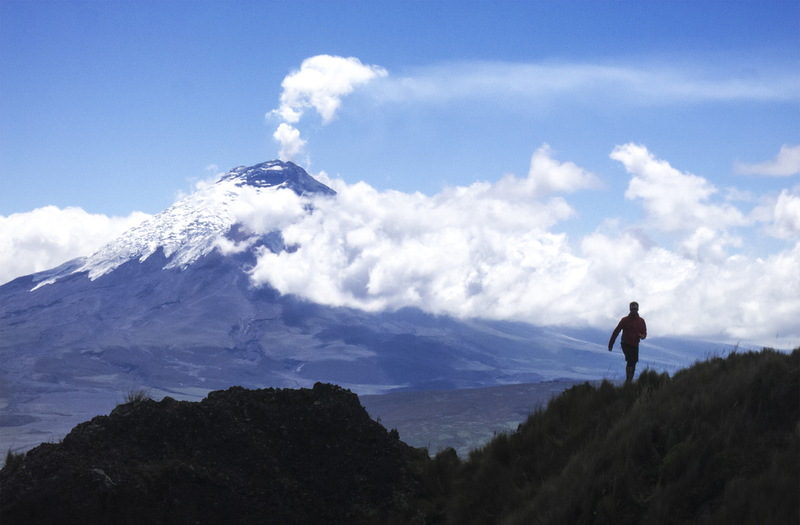 Three years earlier, a traumatic experience abruptly interrupted her plans to spend a year working at a music school near Cotopaxi. Years of therapy had righted the ship, she thought, but traveling through Ecuador was ripping open old wounds. Lea seemed to be losing herself, and I was the only thing keeping her from falling off a “bottomless cliff.” For me, the experience was exhausting, frustrating, eye-opening, terrifying. I’m in the middle of one of the best and happiest periods of my life, so being with Lea felt like playing blackjack with a friend whose chips disappear just as mine double. How can the same deck of cards deal such different fates? The world is unfair, and those of us who have been spared its deepest cruelty can only feel sheepishly fortunate. That roller coaster was an untimely distraction from what was the nicest hostel, and one of the most beautiful places, this journey has taken me. Smoking volcanos. Rolling hills. Horses grazing on tall, green grass. Temperate forests. Waterfalls. Long hikes. Pardon the cliché, but I couldn’t help but marvel at how beautiful and ugly life can be.